A new love for station wagons has caused many consumers to look towards hatchbacks. Not only does this style of car offer an attractive design, but hatchbacks also come with a practicality that drivers love. Have you been searching for the perfect vehicle? Have you been wondering how you can find an incredible car? Have you been looking for something that meets your needs? Buying a used car can be overwhelming. Fortunately, there are several things you can do to simplify the shopping process. If you're in the market for a new or used vehicle, consider purchasing an SUV. There are a number of reasons why you will want to consider getting an SUV. An SUV is deemed a safer ride when contrasted to many other vehicles on the road today. Obviously, safety should be a prime consideration when it comes to the selection of a vehicle. Read on to learn more! While you're riding with your family on a road trip, consider playing a few games in the vehicle to pass the time. Print off a few maps of the country so that kids can color the states that match any license plates they see. Kids can also color the states that you drive through if you plan on taking a long-distance trip. If you have a road trip planned, consider looking for a spacious vehicle at European Masters in Great Lake, NY. Do I Need to Detail My Car More Often? Detailing your car has more benefits than you might even realize. Yes, it will help the car look better, but it also helps to make your drive safer and preserves your investment too. Consider the following benefits to getting your car detailed more often. Those dead bugs and bird droppings that remain on the paint surface week after week are slowly eating away at the paint surface and could seriously diminish the value of the car. Are Summer Tires a Better Choice Than All-Season Tires? The team at European Masters wanted to better educate drives as to all the advantages this season to be driving with summer tires on the vehicle. The shallow rib running down the center of the summer tires serves a very important purpose. That rib pushes water to the sides, which is then moved away from the tires by way of the tread pattern. The tire pressure light in your vehicle is designed to alert you when the tire pressure has fallen out of the recommended range. Here are a few reasons why this could happen. When the outside temperature drops by ten degrees, you can expect the air pressure in the tires to drop one pound. These underinflated tires are most than an annoyance, this condition actually increases the likelihood of a tire blowout. When packing your own roadside emergency kit, be sure you include the following items. One small first-aid kit is crucial for tending to minor injuries. Flashlights and fresh batteries can make all the difference in working on your car at night or flagging down another vehicle for help. Selling Your Vehicle? We Can Help! 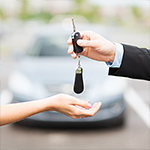 At European Masters, we want to make sure you can have the easiest time finding a vehicle, and that includes helping you get rid of the vehicle that you are currently driving. We use the Kelley Blue Book valuing tool to show you how much you will get for your vehicle, allowing you to easily convert that to our financing team towards your next model. Whether this is your first time purchasing a vehicle, or you have experience doing so, having a fun, expedited financing experience is important. With our loan application you can expedite your financing experience. This application is easy to complete and straightforward. Most importantly, though, your information is safe and encrypted.